It’s surprising, really, how often I’ve found this as true. There are days I forget what my icebox is filled with, open the door, and exclaim, “Ooh! Bubbles!” This can be embarrassing at times, but what better reason to pull out your glasses and toast? Cheers! 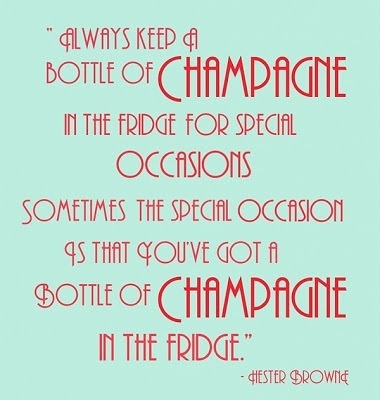 I’ve had my favorite fizz for quite a while- I’ve a Veuve Clicquot girl, usually, but if I’m feeling a little cheap, or know I’ll be cutting my champs with OJ for a weekend brunch, I’ll go for Toso, an Argentenian Brut that has a sweet finish and a fantastic bubbly bite. My only issue is that I’m slowly running out of flutes! Coupes! Champagne coupes! I’ll say it again. COUPES! 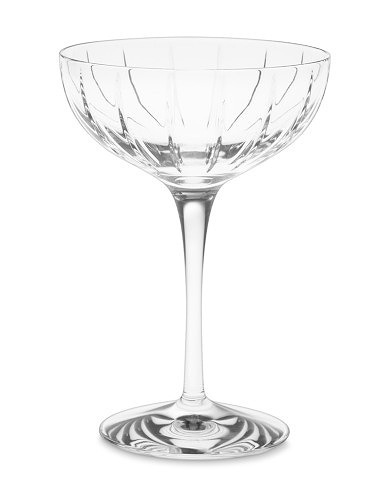 I’ve always favored coupes over flutes. I assume its because Mamaw’s punch bowl had coupe-shaped glasses, and I was obsessed with the original Sabrina- all Audrey and Humphrey and the amazing party on the patio with Isn’t It Romantic being played by the band… I always thought of how David wouldn’t have broken the flutes in his pocket when he sat down if there had just been coupes offered instead. These? 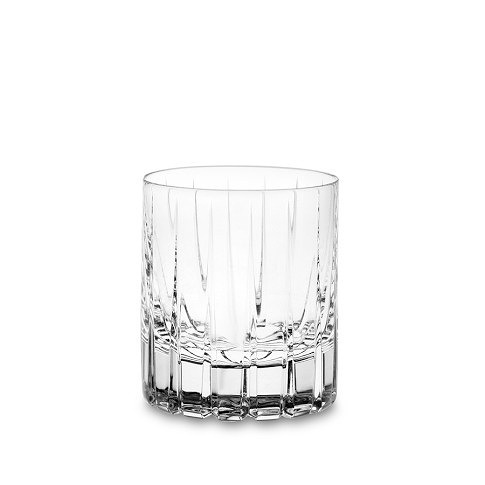 These Williams-Sonoma cut-glass beauties? I’m going to have to give in and buy a set of 20. It’s both unfortunate (for my wallet) and very lucky (for my OCD) that this particular pattern also comes in Old Fashioneds for Mr. man’s Bourbon, wine glasses, an ice bucket and decanter, tiny cordial glasses for the Lemoncello on Italian night… I can’t wait to buy them all, and I have the feeling that’s exactly what I’ll be doing very soon!